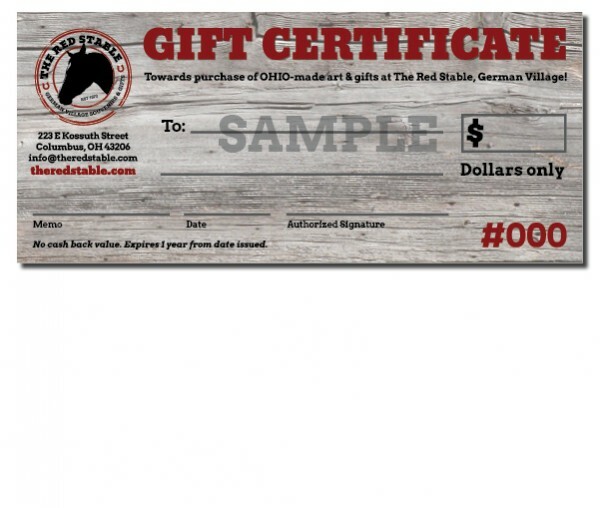 Gift certificate purchased online, available for in store pickup or mail. Choose from the available amounts below. Enter SHIPPING information if you'd like the gift certificate mailed to a different recipient than yourself during checkout. We will follow up with you before shipping. © 2018 The Red Stable. All Rights Reserved.